While winter has its downsides (cold, shoveling, bad roads, just to name a few) it is also an incredibly beautiful time of year. From fresh blankets of snow covering everything in sight to glowing holiday light displays, winter is a great time here in Omaha Metro Area. One thing that can make winter even more beautiful? 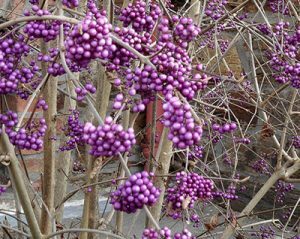 Colorful winter berries that brighten and beautify your landscape! 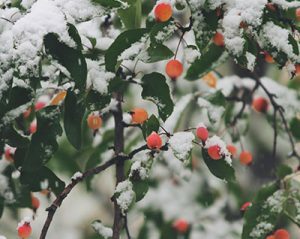 In this blog, we’ve identified some of our favorite trees and shrubs that carry colorful berries in the winter time. This is the one winter berry that just about everyone will know about already. 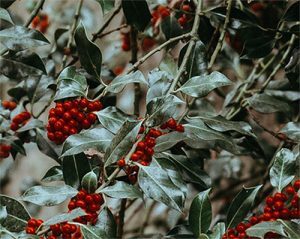 With its small red berries and distinctively shaped glossy evergreen leaves, holly is practically synonymous with the holidays. Whether you want to feel extra festive during the holiday season or add little pops of color to your yard, holly is a great choice. 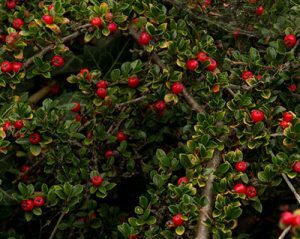 Winterberry is a type of holly that is deciduous, meaning it drops its leaves in winter. The bareness of its branches and the slightly larger size of the berries make this plant one that is impossible to ignore, especially with a backdrop of fresh snow. 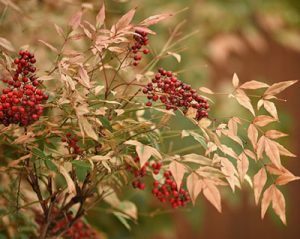 Nandina is also known as heavenly bamboo and its appearance is indeed otherworldly beautiful. Like winterberry, this plant also has larger berries which makes it stand out, even from a distance. Another thing that differentiates it from similar plants is that its leaves take on a lovely reddish tint. This winter berry bush does well in a wide variety of landscapes. It keeps its berries well into winter and there are both evergreen and deciduous varieties. This one lives up to its great name and is a real conversation starter. Featuring clusters of bright purple berries, it works well here in Zone 5. It typically works best when planted in a row of several hedges, so don’t be shy! Which of these winter berries is your favorite? What’s your favorite way to add some color to your landscape during the winter? If you would like to learn more about adding some winter berries to your great outdoors, get in touch with our landscape experts today!